Every local business needs web development and design that speaks to their business. What might work for an Auto Body Shop, may not work for an Online Retailer. With this in mind, we needed the beauty of the service to really shine through the website. 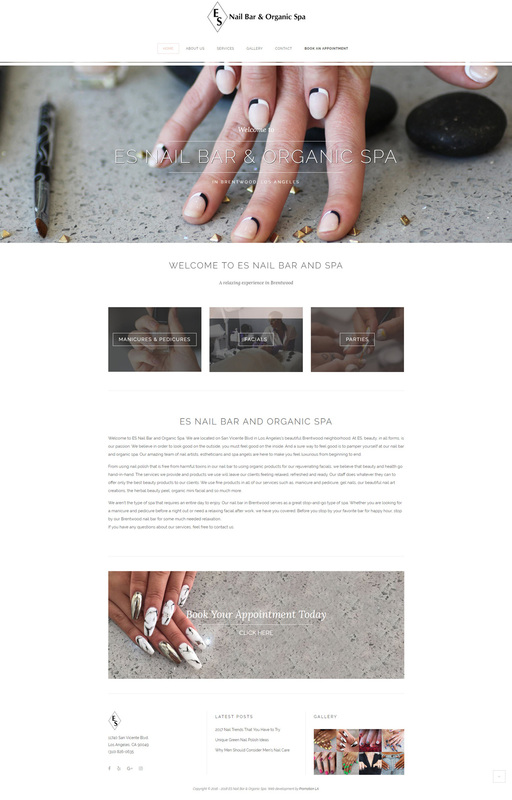 This Nail Bar & Organic Spa offers high end manicures, pedicures, and facials. We wanted to create a design that evokes the “light and airy” feel that compliments the feeling their customers receive when they walk in. 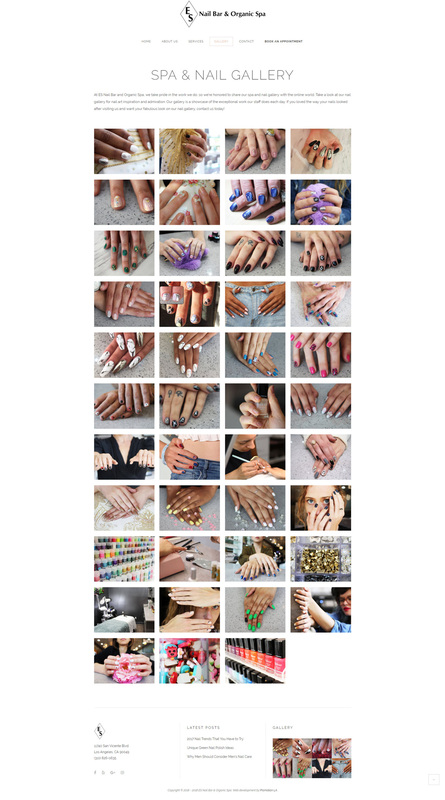 To evoke this feeling we choose a white background with an elegant font, images that display the intricate and classic nail designs their expert technicians create. 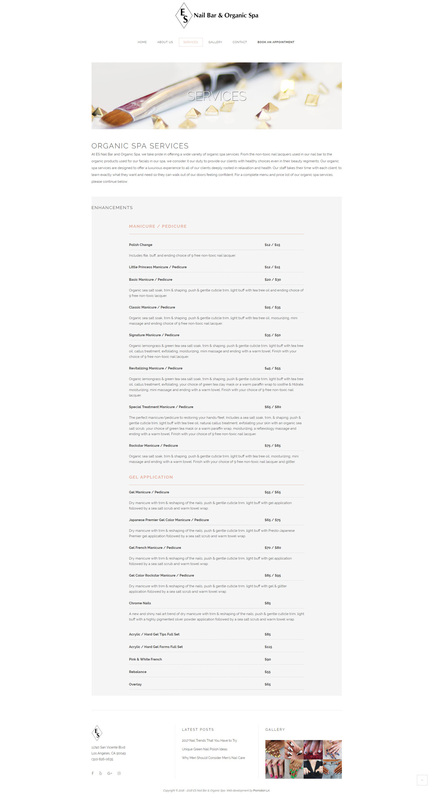 We know how important their services are so we created an easy to read menu with pricing that we’ve updated regularly.